There are a lot of concerts, festivals and other events happening lately, so check out our top Fargo events for October! Fall is now in full swing, but the weather is still nice enough to enjoy some fun outdoor activities. 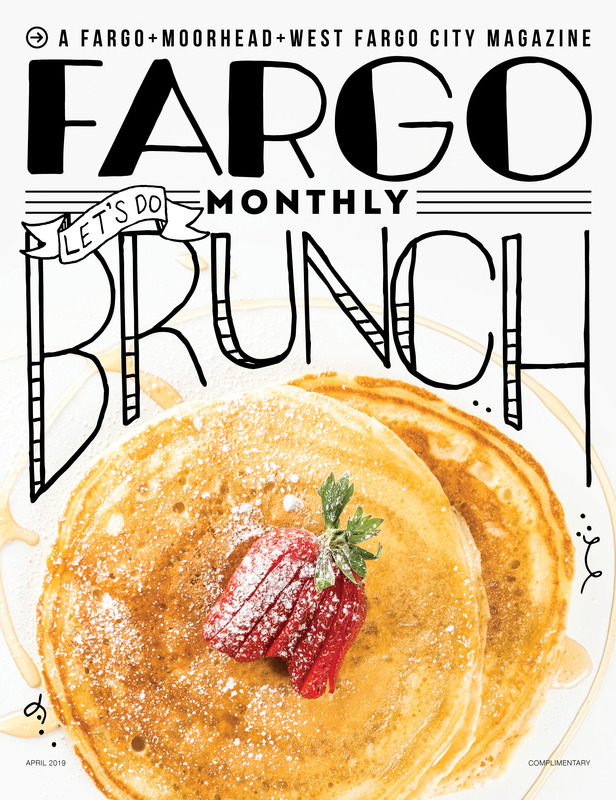 There are a lot of concerts, festivals and other events happening lately, so check out our top Fargo events for October! What are you most excited to check out this October? The Red River Market strives to support small-to-mid-size farms and new and emerging food businesses. They strive to increase access to fresh, locally grown produce, be a good steward of the planet and create a sense of place where we are all welcome to gather. October 27 will be the last market of this calendar year, so make sure you make it out this month! Broadway and 4th Ave. N.
Thursday, Oct. 4 at 7:30 p.m.
With special guests Jordan Davis and Jillian Jacqueline, Kip Moore will take the stage at Scheels Arena for a night of playing his rugged, southern rock hits. Tuesday, Oct. 9 from 5-9 p.m.
Taylor Jane Photography and Rustic Oaks cohost a ladies night out! This event will feature food trucks, drink specials, holiday shopping, unique homemade gifts and fashion for all ages. Check it out for all sorts of local goods and the chance to socialize with some of our area’s lovely ladies. Thursday, Oct. 11 at 7 p.m.
Join in for the 10th Annual Women, Wine & Wellness event at Strive Chiropractic! They will have seven women-centered, wellness-based vendors providing demonstrations, tips and giveaways. And of course, there will be appetizers and wine served throughout the event. Tuesday, Oct. 16 at 6 p.m. The Greater Fargo-Moorhead EDC is hosting a night where you can meet new friends and see what makes Fargo-Moorhead a great place to live. Grab a drink, sample some food and ask other new residents – and locals – why they like living here. Moved here six days ago? Perfect! More like six years? You’re still welcome! Thursday, Oct. 18 at 6 p.m. Calling all wine lovers! Welcome to the second annual Festival of Wines, Fargo’s premier wine sampling event featuring more than 100 wines from around the world. We’re teaming up with our pals at @ungluedmarket to put on another Late Night Craft Market on October 18th -this time at Brewhalla! All kinds of hand-made goods and beer smack dab in the middle of flannel season. To apply as a vendor hit up the link in our profile. Thursday, Oct. 18 at 5 p.m.
Drekker Brewing Company and Unglued have teamed up to create a late night fall craft market. They’re bringing back the successful craft market smack dab in the middle of flannel season. Expect all of the coolest vendors and their crafty crafts so you can get yourself some hand-made awesomeness while enjoying a beer! Saturday, Oct. 20 from 10 a.m. to 5 p.m. The Fargo Record Fair continues to round up dozens of vendors with thousands of vinyl records and music-related items. This is an event that all music fans can enjoy and many eagerly await each year. Saturday, Oct. 27 at 10 a.m. to Sunday, Oct. 28 at 1 p.m.
Great music, great beer, great cider, great views and great people on the wide-open grasslands of the Agassiz Beach Ridge! The premier local festival for, on and about the Prairie of the High Plains. Come join for beer from Junkyard Brewing Company, cider from Wild Terra Cider, amazing local grub and some of the best music in the Upper Midwest. Included will be camping workshops, tent displays, gear, knot-tying, seed-gathering and much, much more! Wednesday, Oct. 31 at 7 p.m.
Join Grindflicks, Sanctuary Events Center and Jade Presents for what is bound to be a graveyard smash- the first annual Monsters Ball! This Halloween bash will kick off with a special Grindflicks screening of cult classic horror comedy, The Monster Squad (1987). Following will be a costume contest with prizes, along with other ghastly games. Then, dance the night away as the Monster Mash dance party closes out with a spooktacular evening.